January is traditionally the time to assess personal change, an opportunity to step towards a new and better you, and so what better time to present the very latest edition of Clash, which is dedicated to those determined to remake and remodel: the restless souls intent on reconditioning their perspectives and redirecting their routes. 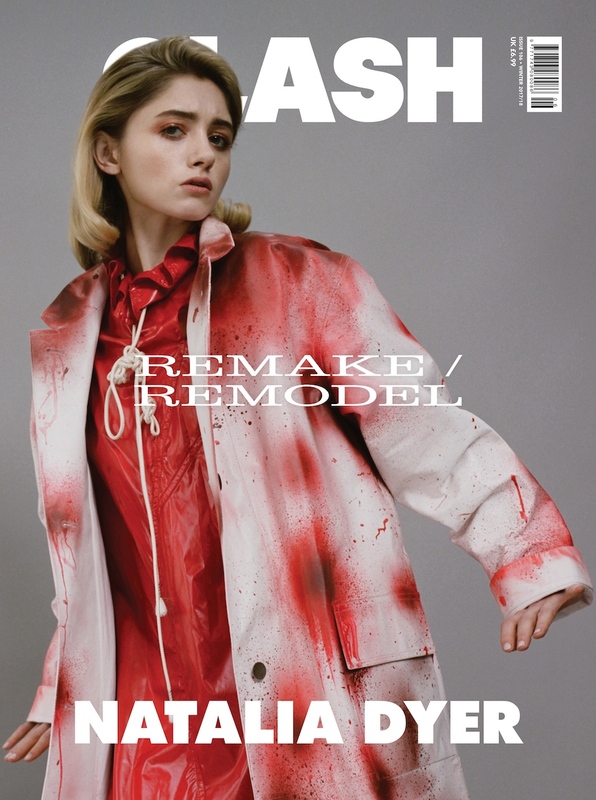 The first of this issue’s four cover stars, we can exclusively reveal, is Stranger Things’ badass big sis, Natalia Dyer. Following her role as the monster-slaying teenage heroine in the Netflix phenomenon, the 20-year-old Nashville native now finds herself at a crucial juncture in her nascent acting career, where the precarious trappings of fame and intense scrutiny that comes with it are threatening a steely resolve to forge her own identity in a steady and discerning voyage of discovery. Joining Natalia in this winter-warming issue is Shame, R.E.M., BØRNS, blackbear, Mike Love, Roy Woods, David Guetta, Not3s, Prince, Yxng Bane, Yonaka, and much more. Watch this space every day this week for the remaining covers!